MCD Innovations is the world’s largest manufacturer of RV roller shades and holds more patented and patent-pending features in RV window shades than all other roller shade manufacturers combined. MCD's window shades provide RV owners with the ultimate in convenience and comfort for their RV, for coach windows, front windshield coverings and entry doors. MCD Day Shades offer the best clarity of vision to the outdoors, yet keep out the heat and cold while providing complete daytime privacy. MCD Innovations pioneered the movement to modernize window shades for RVs and motorhomes over the past decade. The day-night roller shades are stylish and enhance any RV with a variety of color and fabric choices to compliment your interior design. MCD roller shades are completely cordless, and with a slight tug to raise them or lower them, are very easy to operate. MCD Powered Roller Shades are motorized RV window shades which can be controlled via buttons or control panels strategically located throughout your motorhome or with cordless remote controls. MCD Night Shades are made of blackout fabric to block 100% of the light or made as a privacy shade which filters light into your RV. Both the proprietary ClearView and ClearView II screens provide an effective thermal barrier. The new window shades take the place of blackout curtains, expensive cellular, vienna and silhouette shades, power visors, venetian blinds and other dated shades. MCD plans all shades utilizing CAD design and 3D software, and manufactures with state-of-the-art computerized manufacturing equipment to ensure the highest quality and consistency. Fill out the form at the bottom of the page to get more information on the MCD Shade Ordering process. Please see the MCD Measuring Resources section below for additional information on how to measure for your MCD Shade/s or we would be happy to measure for you. 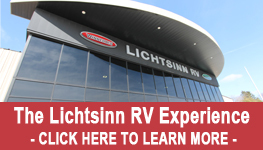 You will be contacted by a Lichtsinn RV parts expert to confirm details and place your order. All MCD Shades are custom-made and are non-returnable. All MCD shades are custom-made and are non-returnable.